Click any song to listen. 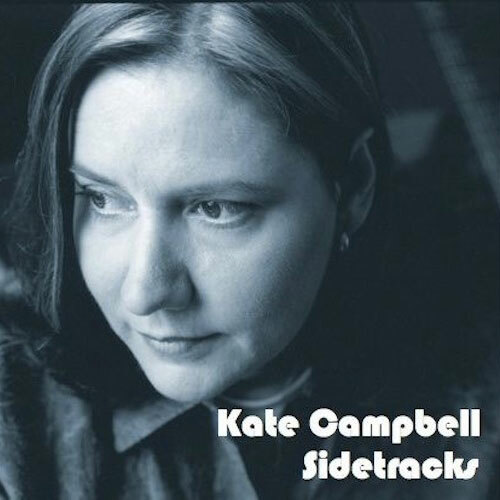 Sidetracks is a collection of songs that were literally “side tracks” used on various recordings as hidden tracks or songs part of compilation CDs. We decided to compile them for a Digital EP that is available exclusively at iTunes. “Freedom Train” came about when I was asked to write and record a song for a Civil Rights compilation CD that would include songs by various artists. Extraordinaire guitarist Pat Buchanan helped me produce the song one day at a small studio in Nashville. Unfortunately, the Civil Rights CD was never released. When the Civil Rights CD wasn’t released I re-recorded “Freedom Train” for the Blues and Lamentations CD, but I still liked this original version, so it found a home on Sidetracks. Silent Planet Records asked me to select and record a track for a compilation CD they released titled Making God Smile: An Artists’ Tribute to the Songs of Beach Boy Brian Wilson. In addition to being one of my favorite Beach Boys songs, “Add Some Music to Your Day” easily lent itself to a catchy country-folk feel. Walt Aldridge produced the song with me at his studio in Florence, Alabama. During the Twang On A Wire sessions we recorded a couple of different takes of the song “Funny Face” made famous by Donna Fargo. One take, which ended up being track five on the Twang On A Wire CD, was pretty much a straight up country version. The other take had a more blues feel and ended up being a hidden track at the end of the CD. I thought it needed to come out of hiding and thus included it on Sidetracks! Guy Clark is a songwriter’s songwriter whose catalog includes many well-known songs. “Madonna W/Child Ca. 1969” is one of his more obscure tunes that I really like. Spooner Oldham and I made a spur of the moment recording of the song one day at FAME Studios in Muscle Shoals after a writing session. I don’t remember if we finished writing a song that day, but I’m glad we came away with this recording. Elvis recorded this song on May 15, 1971 at RCA Studio B in Nashville. Spooner and I recorded it on the spur of the moment one afternoon at Fame Studios (see previous note). “Miracle of the Rosary” was a hidden track at the end of the Wandering Strange CD, and like “Funny Face Alternate Blues Take,” came out of the shadows for the Sidetracks EP.